What is vCard and how to open it? 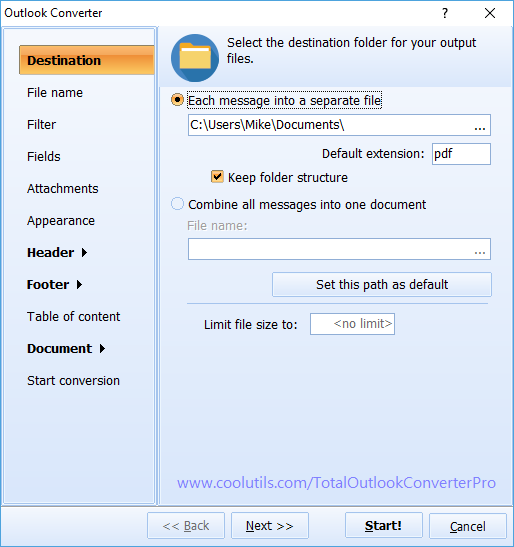 You are here: CoolUtils > Total Outlook Converter Pro > What is vCard and how to open it? Anyone that's ever tried to export Outlook contacts to vCard files will tell you; Microsoft does not make it easy. Although you can export information about every contact individually, Outlook 2010 offers no support for multi-file, batch conversions. This can lead to tedious and lengthy conversion sessions that should realistically be possible in a fraction of the time. And you know what? With Total Outlook Converter Pro - it is! You will be able to save time through batch processing! 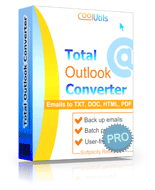 With Total Outlook Converter Pro, exporting Outlook contacts in vCard (.vcf) format has never been faster. Our easy to use GUI design does all the work for you. All you need to do is select the emails from which you want to export the contact's information, and click the "vCard"icon. After that select the desination folder where you would like to place your vCards. The TOC Pro handles the rest. The program is also loaded with lots of great features. 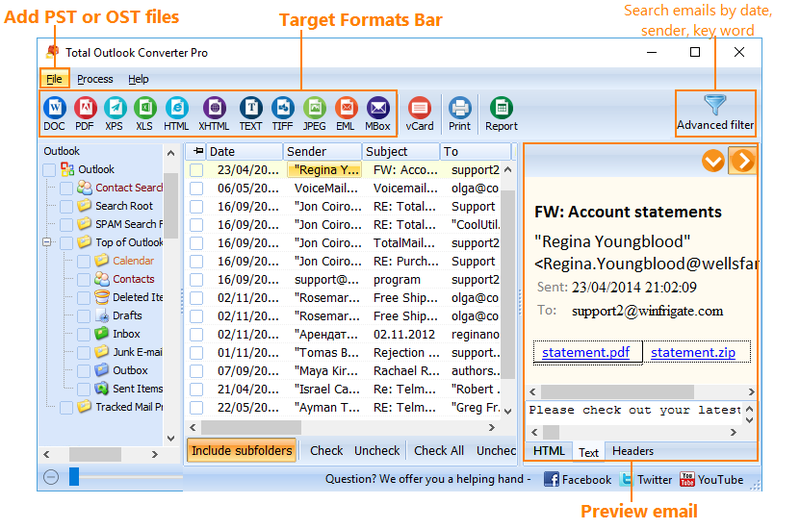 It not only exports Outlook Contacts but also converts Outlook emails to different formats. 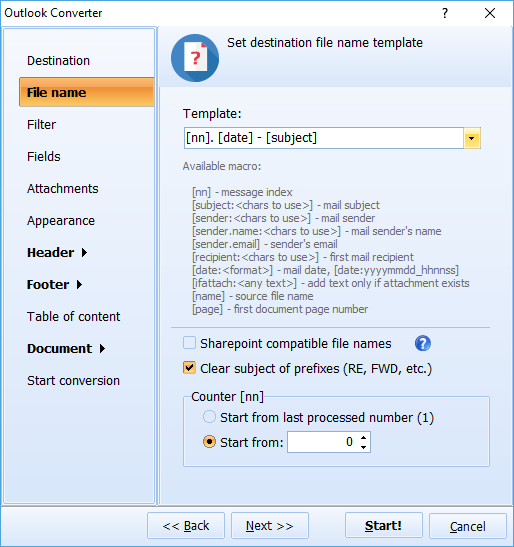 In addition to the all the options found in the regular version, the TOC Pro offers full control over email attachments. Sure there are add-ons you can get that will allow you to work with batches of Outlook emails, but do they offer support for working with OST or PST? The short answer is no. Instead of having to sift through all those OST/PST records one by one, the TOC Pro lets you process them all at once. A feature made even more impressive by its ability to work with any and all associated attachments too. Instead of spending hours pointing and clicking, let Total Outlook Converter Pro do the job in seconds. We could continue to describe the TOC Pro at great length, but nothing beats actually giving it a try for yourself. Download our free trial and see firsthand what a difference the TOC Pro can make in your daily workflow. With support for more than a dozen different languages, and multiple file formats, Total Outlook Converter Pro has something for everyone!